Easily one of the cutest dessert places in Serendra thanks to its rainbow-colored morsels , Chez Karine offers not just eyecandy, but a great selection of sweet treats as well. The two most popular things on Chez Karine’s menu are the French macarons and the puddings. 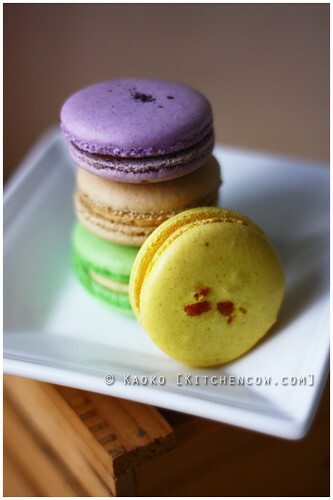 Not to be confused with the rustic coconut cookies, French-style macarons are airy multi-colored confections sandwiched with cream in the middle. 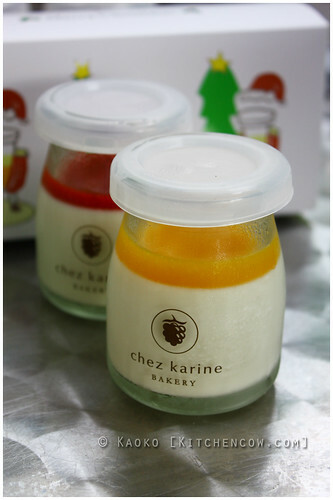 Chez Karine’s offers a nice selection of flavors which will leave a macaron aficionado spellbound. But I confess, I’m never there for the macarons. Sure, they’re yummy. But I can get macarons anywhere. The real reason why I visit Chez Karine’s is for the puddings. 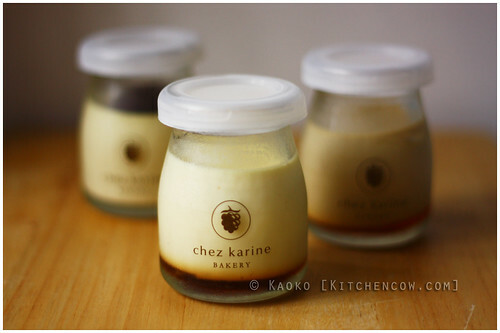 A fancy rendition of creme caramel, Chez Karine’s puddings come in individual glass bottles that harken back to old glass milk bottles. Most of them come with a layer of caramel—usually at the bottom—or something sweet, like marmalade or crumbled choco-malt bits. 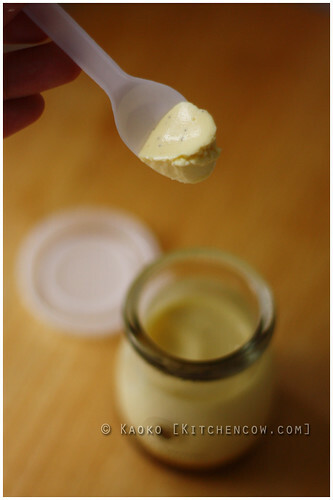 Because of this construction, it is important that you dig deep into the bottle so that each bite has pudding and syrup. Be careful to ration your syrup, so you’ll have that ideal bite ’til the end. 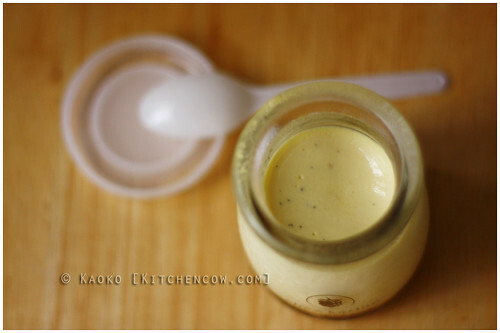 After all, nothing complements the vanilla speckled custard (in the case of vanilla royal pudding) better than the sweet but slightly burnt flavor of caramel. Once you’re done with your bottle, put it down gently. Then, reach into your box for another bottle. Perhaps Chocolate Royal or Muscovado this time. Or even Strawberry or Mango Panna Cotta. Because really, you can’t buy just one bottle.